I know that if you’ve gone to the garden centers in the past few years, you have to have spotted plants with the label of ‘Magilla Perilla’ and ‘Magilla Vanilla.’ American nurseries and 99.9% of web sites insist that this may be a coleus-like plant, but it is definitely a perilla, not a coleus. Both perilla and coleus are members of the mint family, the Lamiaceae. I e-mailed the company that introduced and distributed 'Magilla Perilla' in North America. 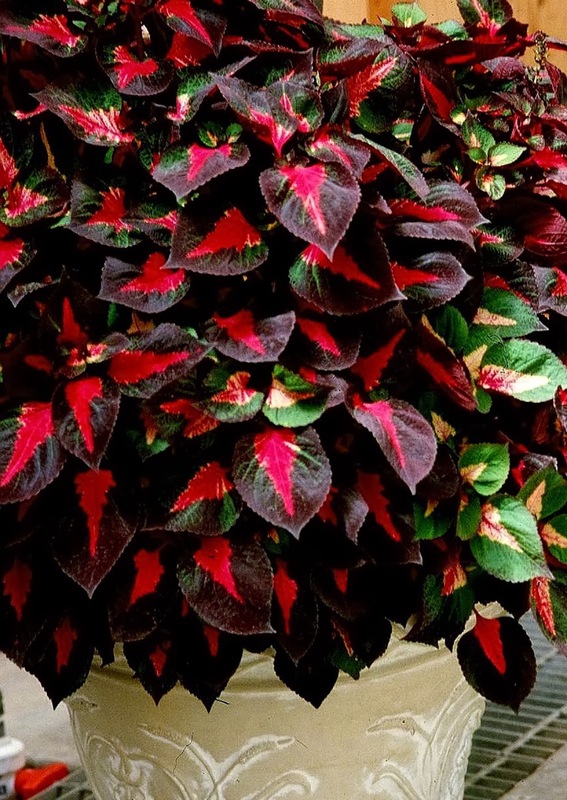 Over a later telephone call, their “expert” insisted that these plants are perilla, not coleus, because the Japanese company that supplied them said so. Thus I was wrong and they were right. Perilla, alias wild coleus or perilla, is a monotypic genus encompassing only one species, Perilla frutescens (L.) R.Br. Perilla is a culinary herb commonly used in Asian cooking. This is an annual plant, even its tropical cultivar from Viet Nam, ‘Tia To’, only survives one growing season. Perilla frutescens, the true perilla, as a red-leaved variety. After perilla flowers and sets seed, it dies like a true annual should; nothing you can do will keep it alive for more than one season. The other distinguishing character of the genus Perilla is that the stamen filaments are not united at the base (i.e., not connate). Coleus is nowadays usually classified as the species Solenostemon scutellarioides (L.) Codd, with older synonyms being Plectranthus scutellarioides (L.) R.Br. and Coleus blumei Benth. 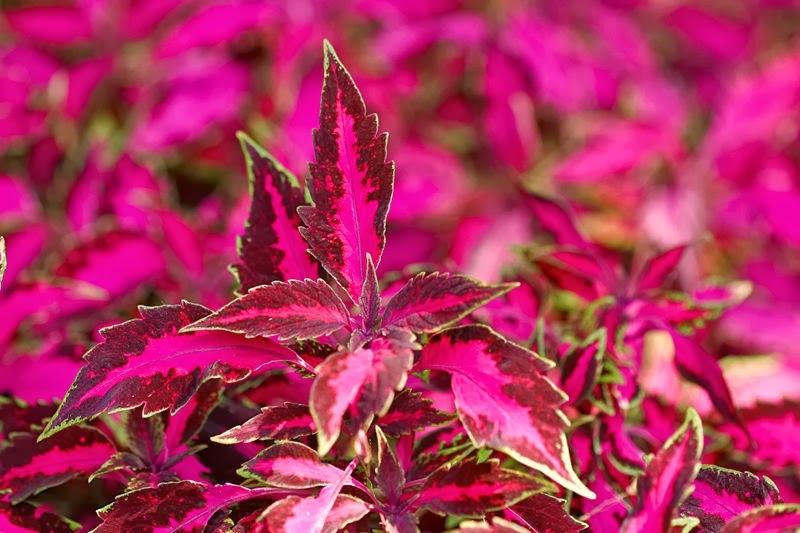 Coleus is a tropical perennial that is often treated as a summer annual in northern gardens. The other distinguishing character of our garden coleus is that the stamen filaments are basally united (i.e., connate, not free as in Perilla). A garden coleus, Solenostemon scutellarioides, one of many varieties and cultivars. The trouble is that ‘Magilla Perilla’ rarely flowers. We finally obtained a flowering specimen (now vouchered at DOV herbarium at Delaware State University), and it has basally united stamen filaments, so it is clearly a coleus, not a perilla. It is also a perennial and, if taken into the greenhouse over winter, continues to grow and flower as a perennial, just like coleus. 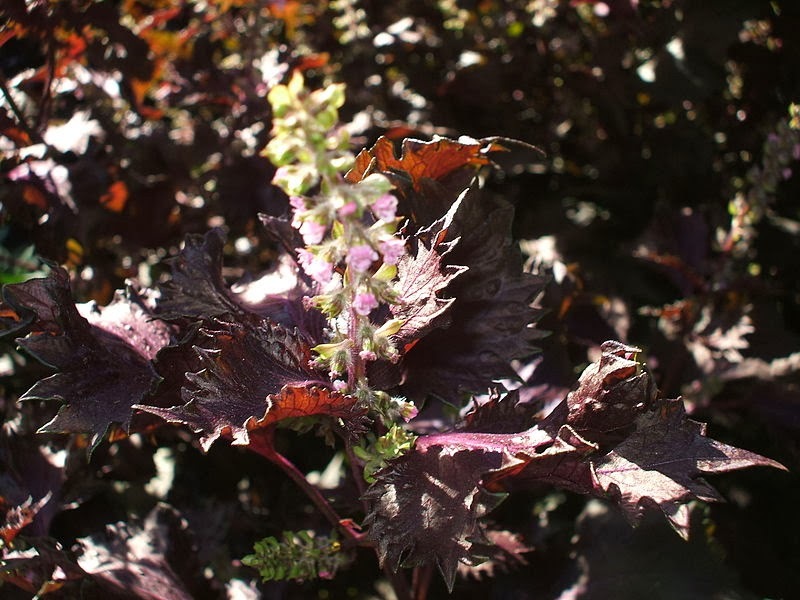 Thus, ‘Magilla Perilla’ is a regular coleus, not a special perilla. 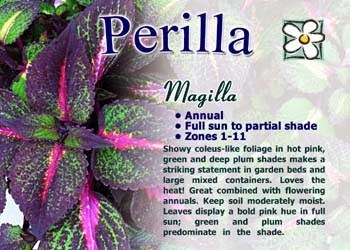 In writing The Encyclopedia of Herbs (Timber Press, 2009), I wrote: “And a word to the wise: ‘Magilla Perilla’ and ‘Magilla Vanilla’ are coleus… not perilla…." The editor changed this sentence to say that ‘Magilla Perilla’ is a perilla, not coleus, because, as she insisted, every web site said such, so I must be wrong. Of course, in my typical fashion, I went ballistic, so to calm me they changed it back to my original writing. By the same line of thinking, is ‘Magilla Vanilla’ a species of vanilla, an orchid? Ridiculous! 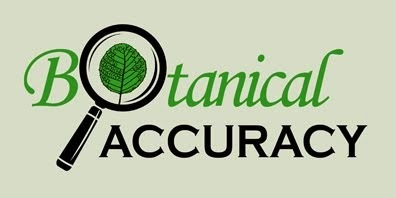 This is a classic case of suppliers not knowing what plant species they are supplying, companies trusting the suppliers wholeheartedly without checking the provided materials, companies spreading the wrong information, and in the end creating total confusion. The plant looks like a coleus because it is one. Despite this, public and private gardening resources call it a perilla or a 'hybrid' of Perilla frutescens, and it has even been given the fake scientific name 'Perilla magella'. Information like this is spread by sources such as agricultural extension services in several US states, Royal Horticultural Society in the UK, Local Gardener, and Dave's Garden. There are a lot of corrections of this mistake needed online, in stores, and in print. Mistakes happen, but when known, they should be fixed as soon as possible. 'Magilla Perilla' and 'Magilla Vanilla' are the same species as the commonly grown coleus, just different cultivars. Their scientific name is Solenostemon scutellarioides. Neither of these two plants have anyhing to do with the culinary herb perilla.